We stock a fantastic range of straight and curved pop-up exhibition stands. These cleverly designed display solutions have everything you need carefully packed inside a sturdy but portable carry case. Available in a large range of sizes, including bespoke shapes and sizes, these systems have paper or fabric graphics. Designed to be as simple as possible to use, we’re sure you will find these exhibition stands very easy to transport, set up and take down. 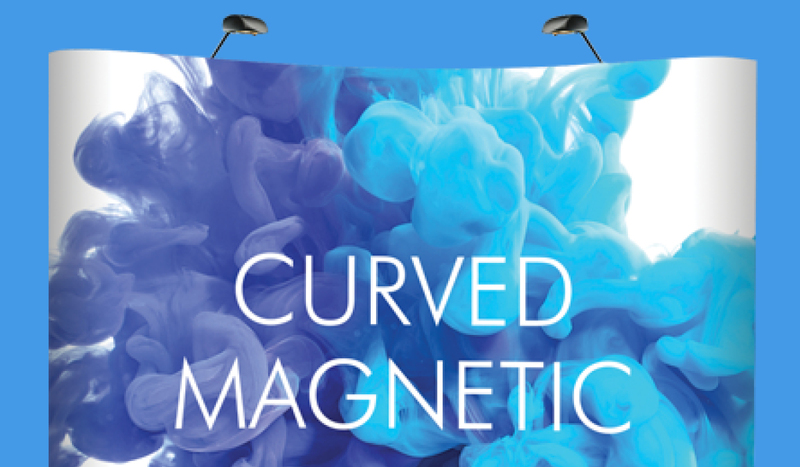 Whether you opt for the curved or straight pop up stand you’ll find this system extremely versatile. It is light but well made; looks very professional but is so quick and easy to erect. This really is one of the best, portable, exhibition stands on the market.